Ambedkar was optimistic about constitutional democracy working in India. However, by 1953, he had lost hope. During the Constitution-making process, Ambedkar, on various occasions, warned members of the Constituent Assembly that “democracy in India is only a top-dressing on an Indian soil, which is essentially undemocratic…” But at the same time he was optimistic about constitutional democracy working in India. However, by 1953, he had lost hope. What explains this? Ambedkar’s disenchantment was caused by his experience with the Hindu Code Bill. The Bill, among other things, aimed to give more rights to women and undermined the role of caste in the sphere of personal laws. For Ambedkar, the principles of the Constitution could only be operationalised through programmatic steps that included social legislation — the Hindu Code Bill was one such attempt. The Hindu Code Bill, which Ambedkar piloted along with Jawaharlal Nehru in the cockpit, was introduced in the Constituent Assembly in 1948 — it found support, especially from women members. However, the Bill triggered intense controversy and attempts were made to stall its passage. Opponents of the Bill argued that the Hindu religion was being attacked: Ramanarayan Singh, a noted freedom fighter and politician, felt that Ambedkar “now wants the Vedas [as] an offence, and this Bill should, in no case, be passed”. Conservative leaders of the Congress were also not pleased: Notable among them was Rajendra Prasad, who, in a letter, made it clear to Nehru that the progressive ideas of a few should not be imposed on the Hindu community. There was resistance on the streets. Many right-wing organisations, including the RSS, came together and organised protests, public meetings, marches and burnt effigies of Ambedkar and Nehru. They believed that the Bill posed a danger to the Hindu religion and was an “atom bomb on Hindu society”. Ambedkar was often singled out — and in bad taste: The highly influential Kalyan — a Hindu religious periodical in an article said of him: “…Himself of hinvarna (Dalit) who has married a Brahmin in old age and introduced the code Bill…” (Akshaya Mukul in Gita Press and the making of Hindu India). The Assembly was headed towards an impasse. Nehru, after arduous political jostling, piece by piece, eventually got the Bill passed in 1956. 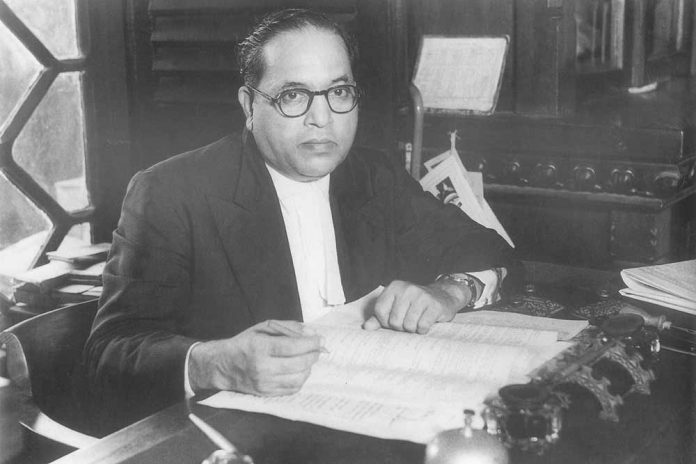 Ambedkar, however, was still reeling from his personal experience with the Bill; the episode had left him deeply pessimistic. Politics in India, he believed, would always be drenched with majoritarian and dominant class interests — stalling social reform and the realisation of constitutional values. Contemporary political and social developments do indicate an erosion of the Indian Constitution. It is tempting to view this as a vindication of Ambedkar’s punditry. Instead, we could read Ambedkar’s scepticim more productively. We could use his critique of the Indian social structure to galvanise our efforts to reform it, view his observation that India lacked constitutional morality as an opportunity to create one, and see his loss of hope about constitutional democracy working in India as a challenge for us — the republic — to prove him wrong.